Olly Rouse, Head Chef of Lainston House Hotel, will be a guest speaker at the Olive Oil Conference in the Chicago area on July 20, 2016. Olly Rouse is an accomplished chef who is famous for his innovative techniques and pushing boundaries. He currently oversees all food offerings at Lainston House Hotel near Winchester, Hampshire. 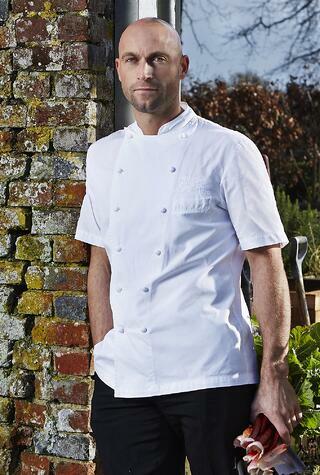 Chef Olly Rouse began his career at age 13 at Les Bouviers Restaurant in Dorset. Since then he has worked at Michelin starred restaurants in and outside of London including Petrus, The Vineyard at Stockcross, Restaurant John Campbell, and Coworth Park. Enjoying a meal needs to achieve more than a plate of tasty ingredients. Combinations and techniques are important to compliment themselves and to please the palate – but our foundation after the use of perfect ingredients comes from the temperatures and aromas, the textures, the visual appeal and the ‘feel good’ factor from a meal. Nutrition and digestibility is an important factor to achieve this last point. Here is a video of Chef Olly Rouse demonstrating a few of his dishes. Attendees of the upcoming Olive Oil Conference will have a chance to meet Olly Rouse who will conduct cooking demonstrations at the conference. He will demonstrate new culinary techniques on using olive oil.